Восемь перекрасок: Weathered BR Black with early and late crests; 3 GWR variants; NCB livery, Weathered London Transport and clean LT livery. 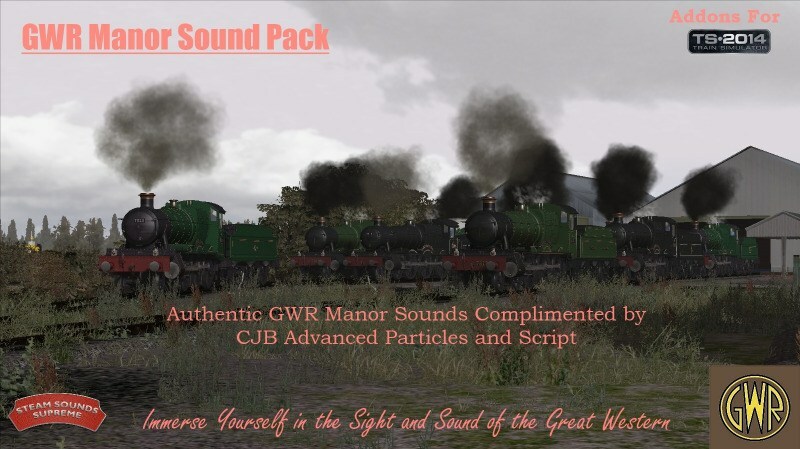 Добавлена ссылка на обновлённый GWR Pannier Sound Pack версия от 30.09.2013 г.
Вышел Rebuilt Bulleid Pacific Sound Pack. Добавлена ссылка на Rebuilt Bulleid Pacific Sound Pack. 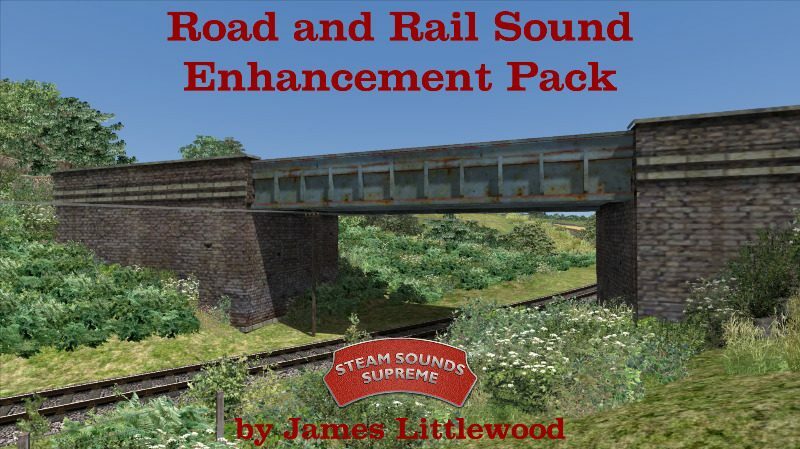 The Road and Rail Sound Enhancement Pack brings forth many realism fixes that have been needed for a long time for Train Simulator. 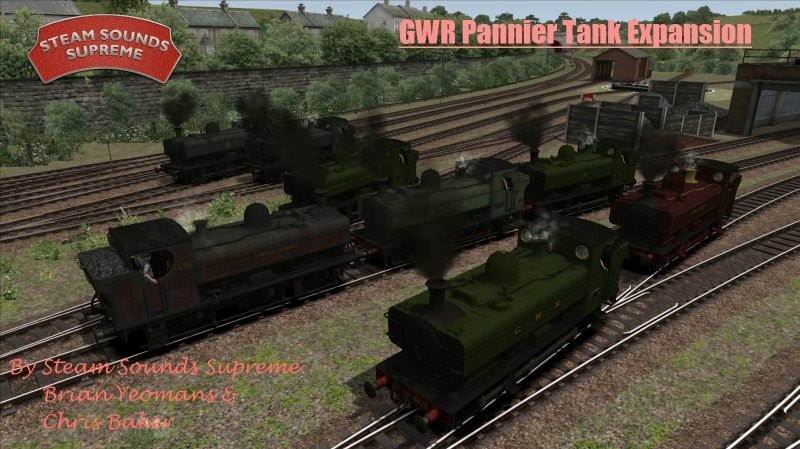 Some of the issues corrected by this pack have been present since the original incarnation of the game, Rail Simulator, which is now six years old. The choice of which enhancements you want to install and to which DLCs etc you want to install them is entirely yours, as each one has an .rwp for each DLC (and the core game) that you can apply individually. Each one will work totally independently, so there is no need to install any requirements for any of the fixes. The 1927 version of the LMS lettering and numbering on the tender and locomotive. Clean and lightly weathered versions included. Loco numbers represented are: 8010, 8035, 8038, 8042, 8173, 8334, 8111, 8460, 8490. In the 1936 the style of lettering and numbers changed slightly. Again, both clean and slightly weathered loco's are represented. Numbers are: 8026, 8071, 8079. Another change took place in 1942, with the numbers changing position on the cab side. This batch is represented in this pack as numbers 8080, 8182, 8206, 8316, 8411, 8743. Run the 1936 tenders behind these loco's. Yes you read that right - LNER! The Stanier 8F 2-8-0 had been chosen by the War Department to be its standard heavy freight locomotive. As a result, 60 were built by the LNER between 1943 and 1945. These were considered LMS stock and numbered as such (LMS Nos 8500-59). These were loaned to the LNER. The LNER subsequently chose to build some of the design for themselves and they were classified as LNER Class 06 locomotives. 9 different Class 06's are represented here: 3107, 3108, 3144, 3146, 3506, 3537, 7576, 7659, 7670. They appear in clean and lightly weathered conditions. Both LNER and NE tenders are supplied. In 1948 the railways were nationalised. Before a BR emblem had been designed, many locomotives retained their liveries but had British Railways painted on the tender. The full range of 8F numbers is available with this version. Only in relatively clean condition. The "Cycling Lion" emblem was introduced in 1950. It was used until 1956. Locomotives here represented in clean and lightly weathered conditions. All 8F numbers can be used. In 1956 the "ferret and dartboard" crest was introduced. This was used on locomotives until the Corporate (blue) Livery and logo was introduced. This is the last crest steam locomotives ever carried. Here you can have these loco's in 4 different states of weathering; Clean(ish), lightly weathered, weathered and heavily weathered. Again, all locomotive numbers are available. In 1957, 8F no. 48773 was allocated to Polmodie depot, in Glasgow. It moved to Carlisle(Kingmoor) in 1963 and eventually found itself at the now infamous 'Rose Grove' shed. The loco worked it's last trains on August 4th 1968, before being withdrawn. The cab-side stripe that this loco, along with many others, carried, denoted that the loco was not allowed south of Crewe, due to overhead cables on the newly electrified WCML. This loco is available to drive in a lightly weathered condition. Supplied with the Woodhead route are very clean 21 ton hopper wagons. 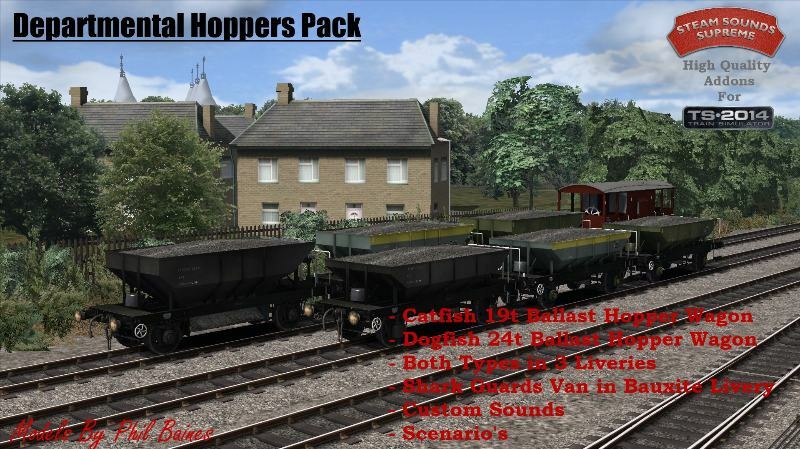 Ben Yates has donated a set of hopper wagon repaints. These are available in four different states of weathering, adding that bit of variety to your freight services over Woodhead. They come with Steam Sounds Supreme custom sounds. 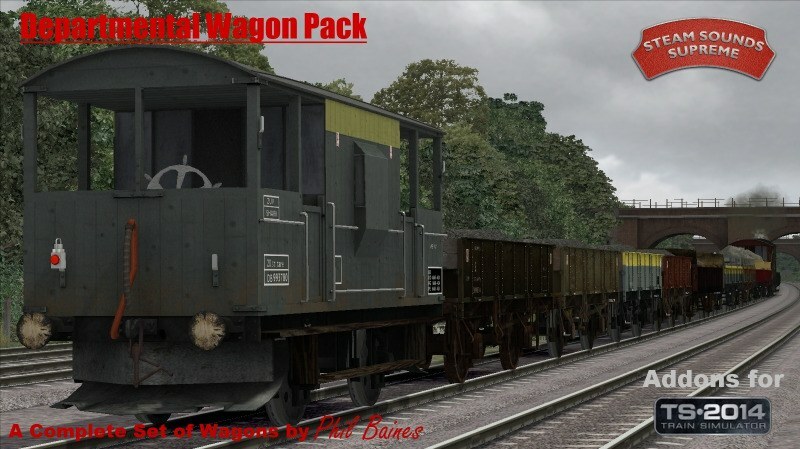 RW3TrainDriver писал(а): Обновлено до версии v1.12. RW3TrainDriver писал(а): Новые звуки для старого паровоза. Дык, вроде в шапке есть оно. Нам City пожалуйста (относительно качественный аппарат), ну и рекордсменов скорости можно, A4 / Принецессу. Похоже в опросе победил Fowler 4F. - 4F snow plow variants updated with all the new features. Also includes an updated script that ensures that the snow low visually clears snow, ONLY when there is snow on the ground! Ну слава богу! Наконец-то сделали Dogfish, я ждал этого не один год, ведь без них, ремонтные поезда 70-80-ых годов представить просто не возможно.